Expand your business with customised convenience Who says staying ahead of the competition is difficult? It's easy when you can give your customers the information they need - in multiple formats and multiple ways - quickly and securely. 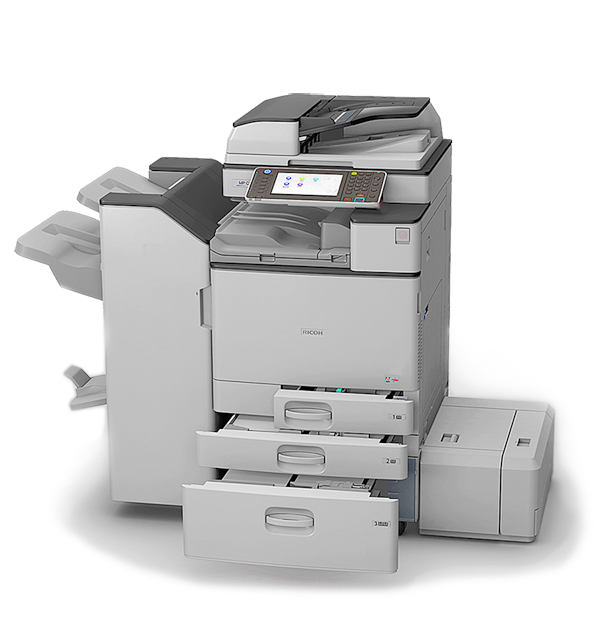 Perform everyday office tasks, including advanced printing, copying, faxing and colour scanning, from the versatile Ricoh MP 4054SP / MP 5054SP / MP 6054SP. Save time with one-touch preset shortcuts to frequently used document tasks. Worried about security? Set up user authentication so only authorised users can view and print jobs. You can even monitor user activity and energy consumption remotely, and make strategic changes to simplify workload and reduce costs.